When I first invited artificial intelligence enthusiasts at the MIND-X to read The Creature From Jekyll Island by G. Edward Griffin many apologists, who are either naive or who live off the fiat-currency system, fought me and argued for at least ten years. Given that this subject is now in the mainstream every day: I hope these people will now acknowledge that the issue has merit and the Federal Reserve – the FED – is an instrument of unjust enrichment. 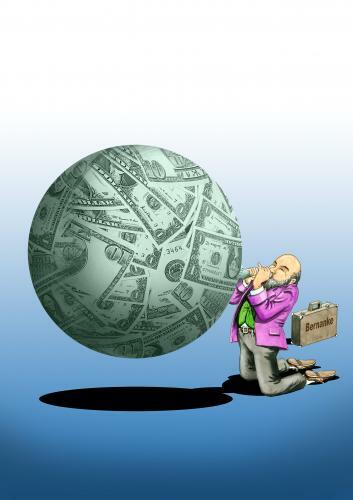 As Ron Paul says – and many others now acknowledge – it’s become common knowledge that the Fed “prints money out of thin air” and this activity inflates the money supply, thus causing the hidden tax of “inflation” and a destruction of the dollar’s purchasing power. It is thus the Federal Reserve System that is the CAUSE OF THE CURRENT GREAT RECESSION, THE 2008 FINANCIAL MELTDOWN, THE LINGERING UNEMPLOYMENT and THE MULTI-TRILLION DOLLAR DEFICITS we are now experiencing. That bit of housekeeping done, allow me to say further: the Federal Reserve’s MONETIZING of debt – now known by the euphemism of QUANTITATIVE EASING – and its practice of FRACTIONAL RESERVE BANKING have allowed an elite class of people to emerge, a class that has exploited the American middle class, if not driven many of them into bankruptcy. This has happened because the major corporations – majority-owned by this class – have sought ever bigger profits provided by exploiting cheap foreign labor and military services. The American Middle Class is justifiably getting REALLY pissed-off. The banking class – and the corporations that do business with this class – have reconfigured U.S. laws to enable them to facilitate massive mergers and acquisitions over the past several decades. This consolidation took massive financing, so where did the money come from? 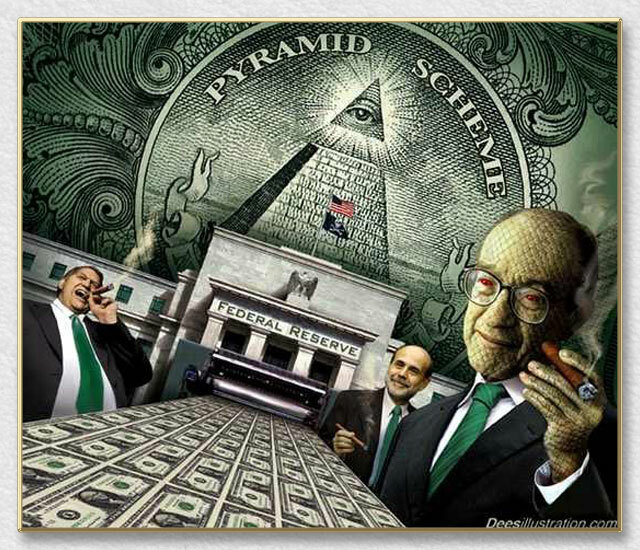 It came from the Federal Reserve Member Banks as loans driven by fiat currency and fractional reserve banking. In other words, the major banks created trillions out of thin air and gave it to their cronies in corporate America in exchange for stock in the consolidated multinational corporations. These multinational corporations, having driven most of their “free market” competition out of business (as a result of their access to fiat money) were now in a position to fund the campaigns of many congressmen. In exchange for campaign finances, many congressmen were behooved to relax anti-trust laws and provide all manner of special privileges. Such resulted in, for instance, the “financial services” industry whereby banks, stockbrokers and insurance companies were able to commingle their business plans to maximize market share and profits. The conflicts of interest that were created as a result caused the global financial meltdown which started in 2008 and proceeds more covertly to this day. Well, duh. But talking about controlling inflation while interest rates are at record low levels and commodities are soaring is pointless. Eventually energy and food prices will work their way through to restaurant menus and store shelves (see McDonalds and Huggies) and then inflation won’t be low — even by the government’s deceptive accounting. That won’t be good for the dollar. The Fed might not control emerging markets but it does affect them. We’re exporting our inflation to them by supporting US consumer borrowing and keeping interest rates low, which creates a torrent of hot money flowing into Brazil, China and India. That’s why they’re overheating. Put another way, they’re paying the price for our lack of self-control. China is raising rates and Brazil is at 12% already, which means they’re looking at a combination of slower growth and continued high prices. This is a huge problem for countries where many workers spend most of their paychecks on food and energy. Letting inflation run and hoping it doesn’t persist is extraordinarily dangerous, because by the time people figure out that it is going to persist you won’t be able to quickly change their minds. They’ll be dumping their bonds and buying real assets like gold and silver and farmland, sending the dollar down and interest rates up. Then you’ll have to spend years convincing them that they’re wrong by raising short-term rates and engineering a recession. And that’s the optimistic scenario. A recession with home prices already falling and systemic debt at record levels would risk a return to the mid-1930s, when a brief recovery turned into the Great Depression. What he’s saying is that the Fed will continue to buy up Treasuries and other kinds of debt with the proceeds of its maturing bonds. This is a massive amount of money, hundreds of billions a year, so in effect QE 2 won’t really end. Unfortunately the US has lost one of its most basic characteristics: a solid balance sheet. We’re effectively bankrupt, and the resulting loss of flexibility and access to capital will fundamentally change this country in the future. A few pockets of innovation won’t be able to bail out an insolvent majority. Let’s consider that experience…the junk bond bubble of the 1980s, the tech bubble of the 1990s, the housing bubble, and now this, whatever it is. Not reassuring. THE FINANCIAL WORLD IS SITTING ON THE EDGE of its seat today to see just what Ben Bernanke has to say about inflation. It’s odd that a man with just a horrific track record, not to mention the fact his policies have resulted in tens of thousands of people starving or being killed in riots, should be the focus of the entire financial system. After all, why should we listen to a pathological liar and idiot, not to mention a man void of morals or compassion? Regardless or Bernanke’s personal qualities, the fact is that it doesn’t matter what he does next. Whether or not he issues QE 3, raises interest rates, references inflation differently, or what have you is irrelevant. We will see some kind of Crisis in the near future because of his policies. If he raises interest rates, the debt market and derivative implodes. If he launches QE 3, the Dollar collapses and trade wars erupt. 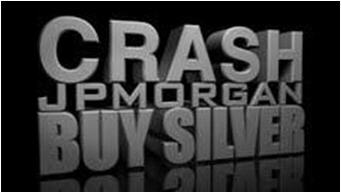 If he doesn’t launch QE 3, the stock market collapses. The idea of “success” is completely off the table at this point. It’s now simply a matter of which Crisis we will see. Even if Bernanke does become hawkish and defends the Dollar, the US’s debt load is beyond sustainable levels and will result in a debt default. Again, there is no positive outcome from the current financial situation. The only good thing that will come out of the destruction will be the Fed being dismantled and Bernanke no longer in control (though this may take years before it’s complete). One thing that is now certain however, is that the US Dollar will be collapsing in the future. It might take two months (Bernanke indicates QE 3 is coming) or two years (Bernanke becomes more hawkish), but it will happen. Taibbi’s right, everyone knows Wall Street’s run by a bunch of dictators who are doing more damage to democracy and capitalism than North Africa’s dictators. But jail the CEOs of Goldman, Citi, B. of A. or my old firm Morgan Stanley? Too late. Only a revolution will stop Wall Street’s self-destructive capitalism. And watching the people revolt against dictators like Mubarak and Gadhafi reminds us of the spirit that sparked America’s revolution in 1776. But today we need a 1930s-style revolution. During the S&L crisis two decades ago America had a backbone, indicted 3,800 executives and bankers. Today’s leaders have no backbone. Besides jail time won’t reform the darkness consuming Wall Street’s soul. We’re all asleep, in denial about the moral crisis facing America. Yes, we need a new revolution. Jail time? We’ve heard that many times before. Journalists have been beating that dead horse for three years. Jailing CEOs made sense in early 2009. But our naïve president missed that opportunity, instead surrounded himself with Wall Street insiders as Bush did with Blankfein’s predecessor. Trojan Horses manipulating a Congress filled with clueless Dems mismanaging tired Keynesian theories. Taibbi got it right: Washington’s error was in protecting Wall Street’s billion-dollar crooks when they should have been prosecuting CEOs for criminal behavior in getting us into the 2008 mess. So today, the political statute-of-limitations has run. Jail solution is wishful thinking, like praying to the tooth fairy for a miracle. Time for action. Time for a revolution on Wall Street. But so what? Just three years after Wall Street’s crooks “brought down the world’s economy” Goldman’s Blankfein and his buddies are paying record bonuses, and laughing at us. Seriously, think about it folks: Since the 2008 meltdown magazines and newspapers have analyzed the 2008 crash to death. It really is old news, history. Journalists churned out book after book: “Greenspan’s Bubbles,” “House of Cards,” “Trillion Dollar Meltdown,” “13 Bankers,” “Dumb Money,” “Bailout Nation,” “All the Devils Are Here,” “The Big Short,” “Too Big to Fail,” “The Failure of Capitalism,” “This Time is Different,” “And Then the Roof Caved In,” on and on, ad nauseum. All talk, no action, and no effect. SINCE THE EARLY 1990 DECADE, THE NATION’S MAESTROS HAVE PROMULGATED the notion that cheap money is a beneficial factor for the sustenance of wealth, for economic development, for the standard of living, for the robust industries, in general for the American society. Nothing could be further from the truth, but even today the reckless US economists from the Keynesian Camp and their controllers from Wall Street have convinced the multitudes that cheap money is a good thing. Cheap money comes with a deadly ultimate cost. The inept professor occupying the US Federal Reserve Chairman post has gone on record claiming the US banking sector has a secret weapon in the Printing Pre$$ that it can use with zero cost, in its electronic form. Nothing could be further from the truth. The Clinton & Rubin team began the distortion of the Consumer Price Index, ostensibly to reduce Social Security and USGovt pension benefits in cost of living raises. They wanted to cause a massive USTreasury Bond bull market, and succeeded in doing so. They wished also to bring down the USTreasury Bond yields. The infamous Fed Valuation Model dictated that as rates rose, stocks fell. So the scheme to manipulate the bond market began with the venerable craftsmen of rigged markets, ruined engines, and mega-fraud schemes. They taught from their high priest pulpits that cheap money was good for the financial markets. Nothing could be further from the truth. Many analysts have sought the underlying root cause for the systemic failure of the USEconomy, the US Banks, and the USFed itself. One can start in pursuit of answers by looking at the cause being a sequence of costly wars and the ensuing monetary inflation, followed by lost industry to globalization and price inflation. The Vietnam War had a powerful consequence of inducing Nixon to exit the Gold Standard, a linkage few if any economists or even gold analysts make. But the true single cause of wreckage is the artificial low forced cost of money, the near zero cost of usury. The subtitle to that billboard is that CAPITAL IS TRASH. Imagine in a nation that developed, promoted, and exploited the fullest riches of capitalism, embarked upon a path to destroy capital without even the recognition by its best brain trusts. Their mental chambers have been totally corrupted by the justification that inflation is a positive force that must be managed. Nothing could be further from the truth. The consequences of artificially cheap money, the wrecked pricing of usury, ultimately is capital destruction and economic failure. My friend and colleague Rob Kirby calls the artificially low cost of money, the cost of usury, to be the pox on humanity. It is actually a pox on the entire economy, in which humanity resides. The Jackass calls it acidic paper mixed in the cauldron to dissolve capital. The points of this article expose the most glaring blind spots of USEconomic and USBanking, a mindboggling failure that has delivered the United States of America to the doorstep of the Third World. The sins committed are almost precisely what Banana Republics have done, and faced ruin. The annual $1.5 trillion USGovt deficits are proof positive of the failure. Those deficits are grossly under-stated when hidden costs of war are factored, and when hidden costs of nationalized acid pits like Fannie Mae and AIG are factored. Leave alone the costs of endless war and its seamy motives. Consider the many sides to free money, the forcibly low cost of usury. The 0% usury cost has destroyed capital, with the recent destruction seen as in an accelerated phase. The 0% money encouraged asset speculation, not business investment. The steady stream of nonsensical labels to the USEconomy are comical. The Macro Economy ten years ago fizzled. The Asset Economy six years ago fizzled. The bylines of a Jobless Recovery offer insult to one’s intelligence. Nothing could be further from the truth, since no such contraption exists. The 0% money even encouraged drainage of real assets, like gold. The Clinton-Rubin gang altered the gold lease rate toward 0% in an experiment. Almost the entire gold inventory was drained from the USTreasury and its secure storage facility at Fort Knox. It was essentially stolen from the front door using official trucks. In defiance, the USFed and USDept Treasury continue to refuse an independent audit. With artificially low rates come complete destruction of capital formation, as economic laws have all been commandeered.